EVN Productions is an independent production company with the goal of creating innovative projects through championing new voices and emerging talent in film and theatre. To date, EVN Productions has produced critically-acclaimed works in New York, Los Angeles and in the company’s new home of Austin, Texas. 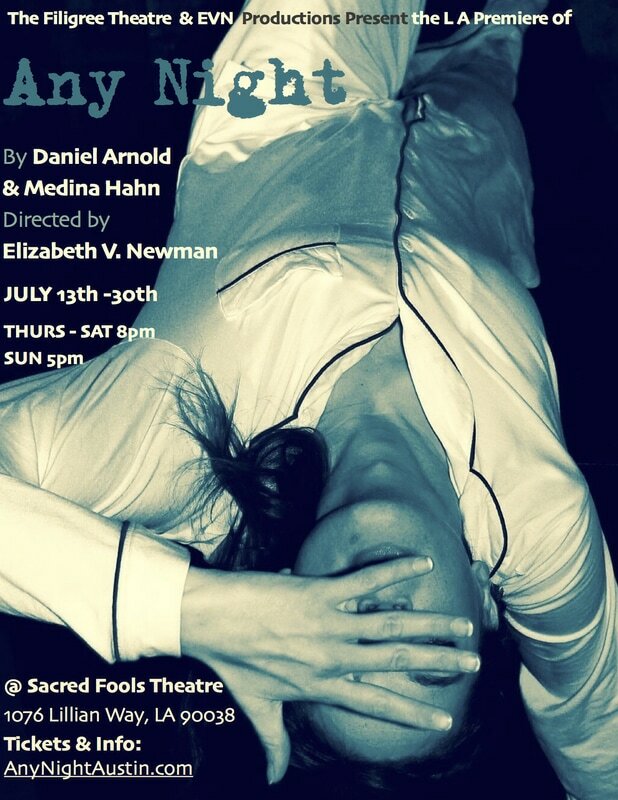 Any Night is a ‘through-the-looking-glass’ psychological thriller about love, trust, and the immeasurable power of the subconscious.